Bon Appetit recently published an entire spread on Sqirl, a restaurant in LA that writer Matt Duckor calls “the future of restaurant food”. I’ve neither been to Sqirl nor even to LA, so I can’t speak to anything except for the recipes featured in the June issue of Bon Appetit. Yet after making both this lemon cake and six amazing carrot latkes, I can speak with some confidence that if I ever go to LA, I will also be dining at Sqirl. 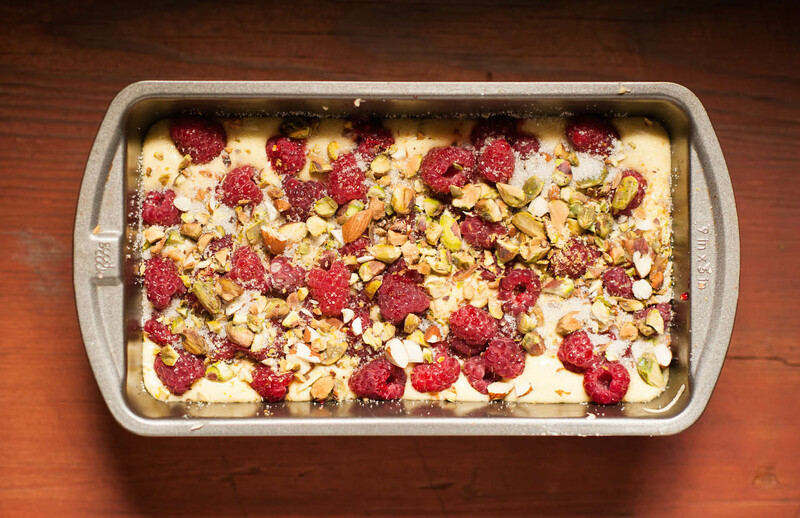 After a stint as a television producer and years as a jam-maker, successfully spreading her jam philosophy and tasty concoctions around the country, Jessica Koslow opened Sqirl the restaurant in 2012. The name Sqirl is a hybrid of the words girl and squirrel, a word that seems to aptly capture Koslow’s view on food preservation that is equal parts quirky and fun: “a girl who squirrels”, elaborated Koslow to L.A. Mag. Los Angeles Magazine calls Sqirl some of the “most soul-satisfying food in Los Angeles”. 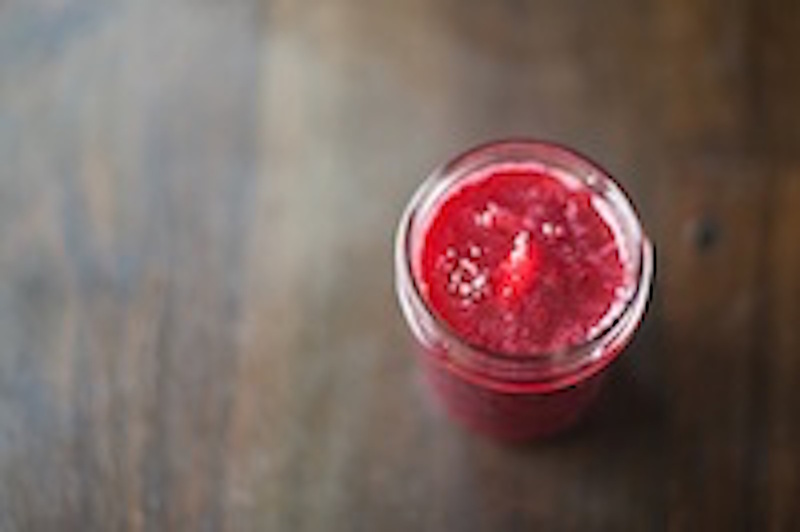 It’s apparent that even with her baking and restaurant background, Koslow still identifies as a jam-maker, not a chef, on her website, writing that her jams are meant to “remind us of the value in the antique process of preservation” and “portray the wealth and diversity of...California’s generous seasons”. Preheat oven to 350°. 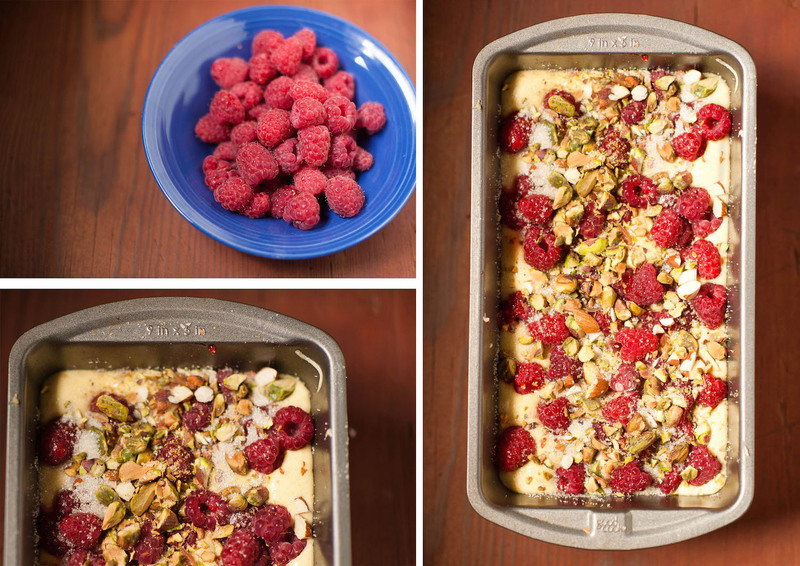 Coat a 9” diameter cake pan with nonstick spray or rub with butter. Whisk flour, baking powder, and salt together in a small bowl. Using an electric mixer, beat the eggs and 1 cup sugar until light and fluffy, about 5 minutes. With the mixer running, add the vanilla and 1 tablespoon of lemon juice, then gradually add oil, mixing just until combined. 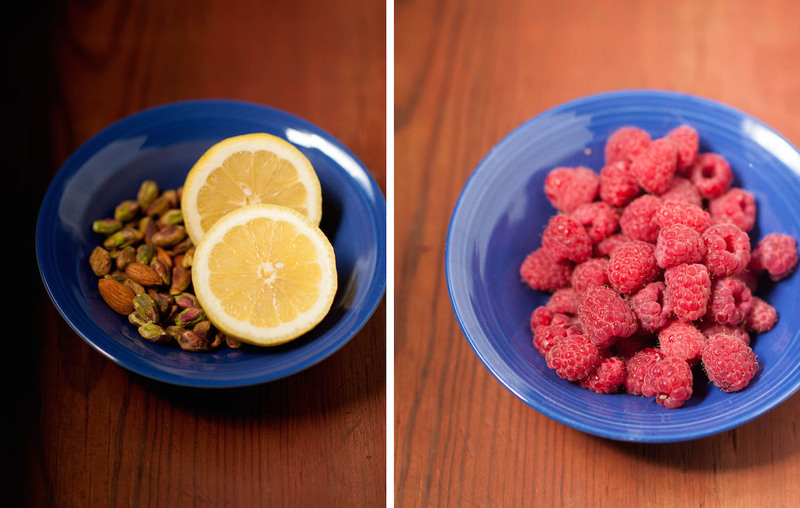 Fold in lemon zest and dry ingredients. Scrape batter into prepared pan and smooth top. 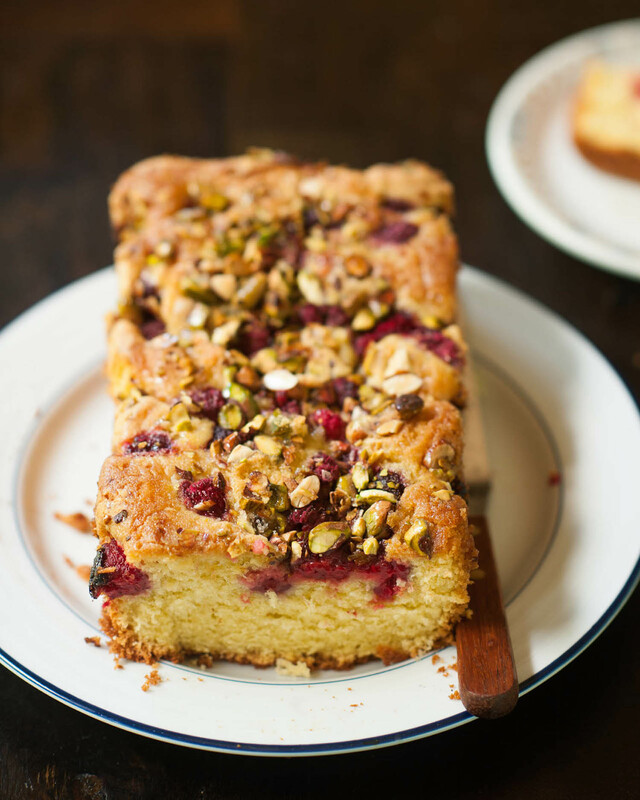 Scatter the raspberries over cake, then add the pistachios and 2 tablespoons of sugar. Bake the cake until a tester inserted into the center comes out clean, 50-60 minutes (Watch this: it depends on your oven). Transfer the cake, still in its pan, to a wire rack and immediately brush with lemon syrup. Let the cake cool completely in pan. Enjoy!